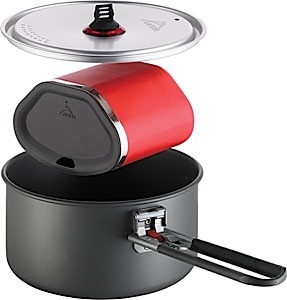 The lightest and smallest MSR cook system for one or two people and boil-only meals. 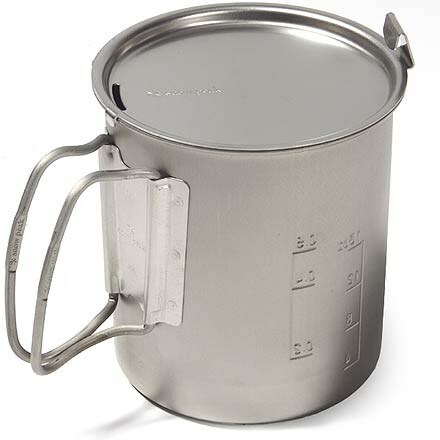 Visit MSR's Quick Solo System page. 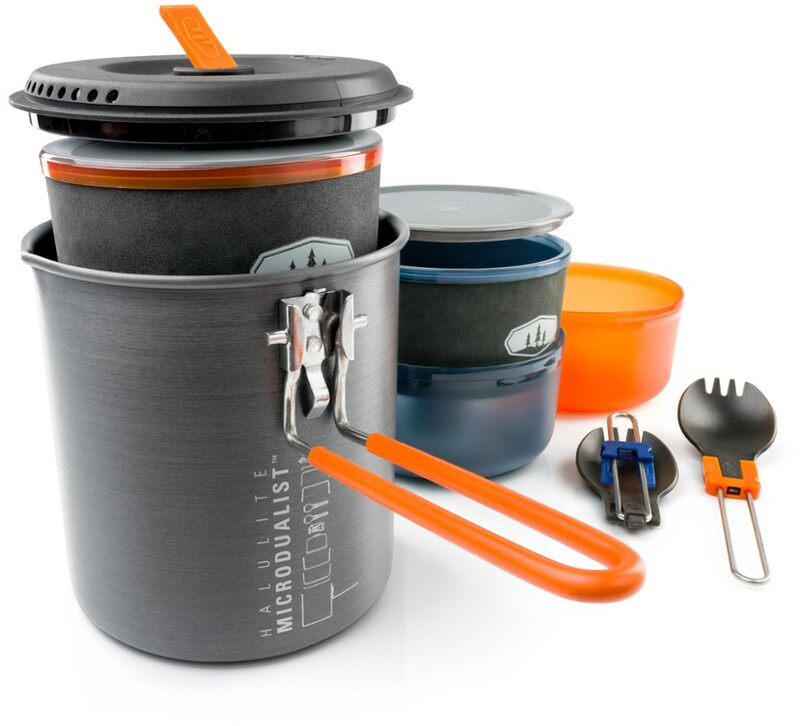 If you're doing a high-speed solo backpacking trip, cook your grub with the MSR Quick Solo System. 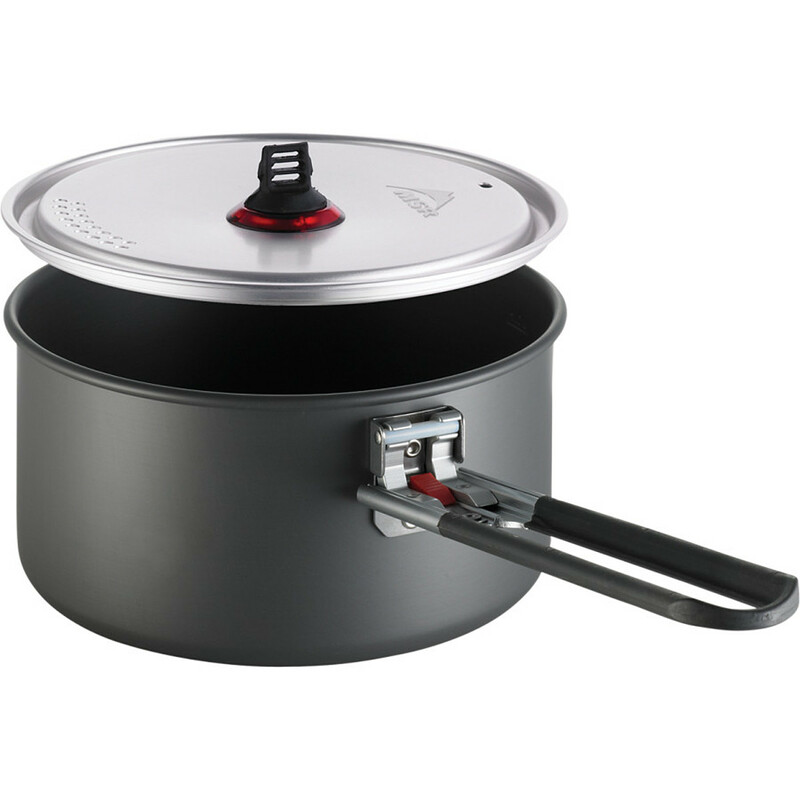 This cooking system is the lightest and most compact that MSR has to offer. When you're making a quick, one-pot meal, the Quick Solo lives up to its name. 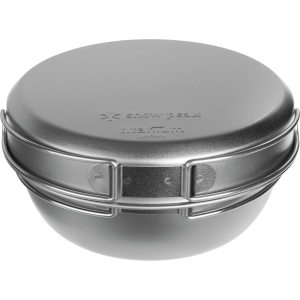 Hard anodized aluminum is exceptionally strong and lightweight, and it spreads heat evenly for better cooking performance. 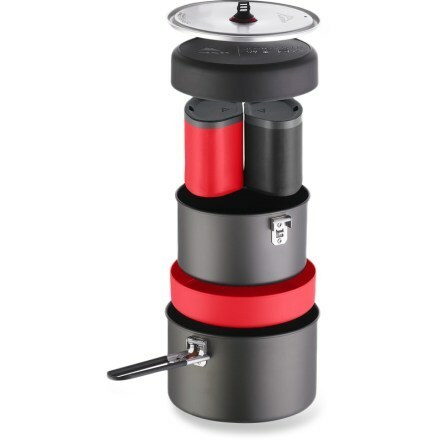 The nesting design lets you pack the stove efficiently and compactly so you can get going again.